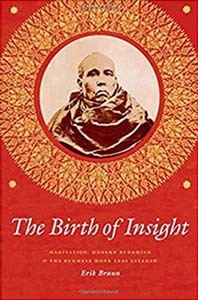 The Birth of Insight: Meditation, Modern Buddhism, and the Burmese Monk Ledi Sayadaw. University of Chicago Press, 2013. Co-edited with David Schaberg. 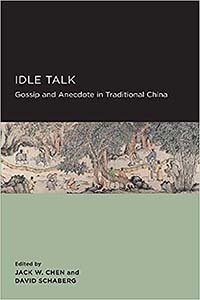 Idle Talk: Gossip and Anecdote in Traditional China. University of California Press, 2013. 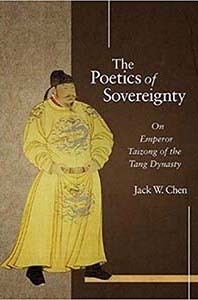 The Poetics of Sovereignty: On Emperor Taizong of the Tang Dynasty. Harvard University Asia Center, 2010. Co-edited with Cathy J. Schlund-Vials. (Re)Collecting the Vietnam War. Special issue of Asian American Literary Review 6.2 (Fall/Winter 2015). 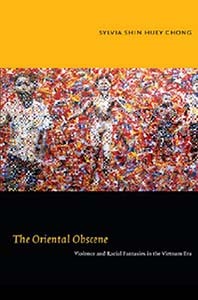 The Oriental Obscene: Violence and Racial Fantasies in the Vietnam Era. Duke University Press, 2012. Conroy, Robert M., and Alistair Byrne. Portfolio Management: An Overview. CFA Institute, 2011. 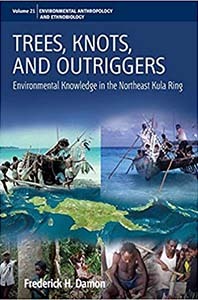 Trees, Knots, and Outriggers: Environmental Knowledge in the Northeast Kula Ring (Environmental Anthropology and Ethnobiology). Berghahn Books, 2016. From Muyuw to the Trobriands: Transformations Along the Northern Side of the Kula Ring. University of Arizona Press, 1990. The Kula Ring is the name given to a regional exchange system among islands off Papua New Guinea. Bronislaw Malinowski's classic research in the Trobriand Islands has described a representative culture of that region; now Frederick Damon examines relationships within and between cultural forms found on Muyuw (Woodlark) Island and the Trobriands to propose that the several societies on the northern arc of the Kula Ring can be viewed as variants or "transformations" of one underlying structure. 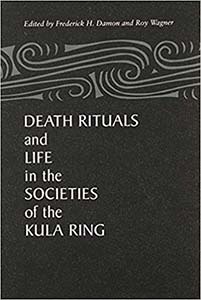 Death Rituals and Life in the Societies of the Kula Ring. Northern Illinois University Press, 1989. Co-edited with Rudy Guevarra and Nitasha Sharma. 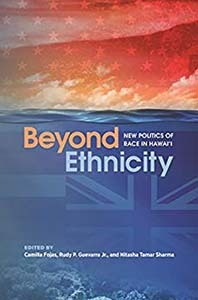 Beyond Ethnicity: New Politics of Race in Hawaii. University of Hawai'i Press, 2018. Written by scholars of various disciplines, the essays in this volume dig beneath the veneer of Hawai‘i’s myth as a melting pot paradise to uncover historical and complicated cross-racial dynamics. Race is not the primary paradigm through which Hawai‘i is understood. Instead, ethnic difference is celebrated as a sign of multicultural globalism that designates Hawai‘i as the crossroads of the Pacific. Racial inequality is disruptive to the tourist image of the islands. It ruptures the image of tolerance, diversity, and happiness upon which tourism, business, and so many other vested transnational interests in the islands are based. 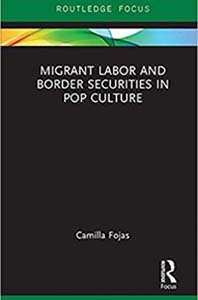 Migrant Labor and Border Securities in Pop Culture explores the conditions for migrant domestic, agricultural, and factory workers as that of continual crisis and examines how the borderlands are a workshop of neoliberalism. These stories present a future of integrated networks in which the border is not just physical but temporal, separating the present time of crisis and migrant phobia, and a future of transborder interaction and settlement based on bridges and networks rather than walls and the proliferation of security technologies. Written in accessible prose for undergraduate and graduate students, this book examines the collective action seen in Latina/o cultural productions after the economic crisis and how they reach across racial and geographic lines to imagine new entities. The alarm and anxiety unleashed by the Great Recession found fascinating expression across popular culture. Survivors negotiated societal collapse in The Walking Dead. Middle-class whites crossed the literal and metaphorical Mexican border on Breaking Bad or coped with a lack of freedom among the marginalized on Orange Is the New Black. Camilla Fojas uses representations of people of color, the incarcerated, and trans/queers to work through the contradictions created by the economic crisis and its freefalling aftermath. Television, film, advertising, and media coverage of the crisis created a distinct story about capitalism and the violence that supports it. 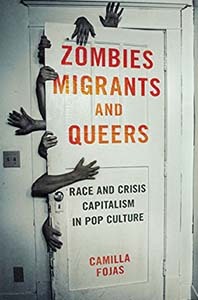 Fojas shows how these pop culture moments reshaped social dynamics and people's economic sensibilities and connects the ways pop culture reflected economic devastation. She also examines how these artifacts illuminated parts of society usually kept off-screen or on the margins even as they defaulted to stories of white protagonists. Islands of Empire. University of Texas Press, 2015. Camilla Fojas explores a broad range of popular culture media with an eye toward how the United States as an empire imagined its own military and economic projects. 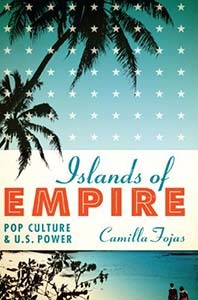 Impressive in its scope, Islands of Empire looks to Cuba, Guam, Hawai'i, Puerto Rico, and the Philippines, asking how popular narratives about these island outposts expressed the attitudes of the continent throughout the twentieth century. Through deep textual readings of Bataan, Victory at Sea, They Were Expendable, and Back to Bataan (Philippines); No Man Is an Island and Max Havoc: Curse of the Dragon (Guam); Cuba, Havana, and Dirty Dancing: Havana Nights (Cuba); Blue Hawaii, Gidget Goes Hawaiian, and Paradise, Hawaiian Style (Hawai'i); and West Side Story, Fame, and El Cantante (Puerto Rico), Fojas demonstrates how popular texts are inseparable from U.S. imperialist ideology. Co-edited with Rudy Guevarra. 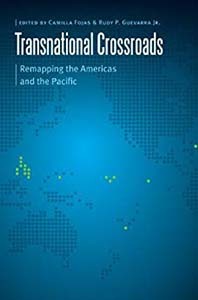 Transnational Crossroads: Remapping the Americas and the Pacific. University of Nebraska Press, 2012. The twentieth century was a time of unprecedented migration and interaction for Asian, Latin American, and Pacific Islander cultures in the Americas and the American Pacific. Some of these ethnic groups already had historic ties, but technology, migration, and globalization during the twentieth century brought them into even closer contact. Transnational Crossroadsexplores and triangulates for the first time the interactions and contacts among these three cultural groups that were brought together by the expanding American empire from 1867 to 1950. Border Bandits. University of Texas Press, 2009. The southern frontier is one of the most emotionally charged zones in the United States, second only to its historical predecessor and partner, the western frontier. Though they span many genres, border films share common themes, trace the mood swings of public policy, and shape our cultural agenda. In this examination, Camilla Fojas studies how major Hollywood films exploit the border between Mexico and the United States to tell a story about U.S. dominance in the American hemisphere. She charts the shift from the mythos of the open western frontier to that of the embattled southern frontier by offering in-depth analyses of particular border films, from post-World War II Westerns to drug-trafficking films to contemporary Latino/a cinema, within their historical and political contexts. Since the early days of Hollywood film, portrayals of interracial romance and of individuals of mixed racial and ethnic heritage have served to highlight and challenge fault lines within Hollywood and the nation’s racial categories and borders. Mixed Race Hollywood is a pioneering compilation of essays on mixed-race romance, individuals, families, and stars in U.S. film and media culture. 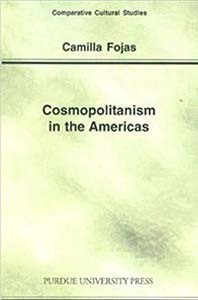 Cosmopolitanism in the Americas. Purdue University Press, 2005. Fojas's book is a study of the aporia between cosmopolitanism as a sign of justice and cosmopolitanism as the consumption and display of international luxury items and cultural production. Turn of the century Pan-American cosmopolitanism described international aesthetic culture and fashion drawn from major world cities, but it was also implicitly political, it held a promise of justice in the acceptance and coexistence of difference. Being cosmopolitan was an orientation towards the cosmopolis in a search for models of tolerance and openness. Fojas engages the work of Guatemalan Enrique Gomez Carrillo, the travel writings from the Chicago World's Fair of Cuban Aurelia Castillo de Gonzalez, the Venezuelan journal Cosmopoils, and Rodo's infamous Ariel. These figures grapple with cosmopolitanism, sometimes conceptualizing new models of hospitality and sometimes failing, nonetheless keeping the broken promise of utopist spaces and their imagined cities. Making and Faking Kinship: Marriage and Labor Migration between China and South Korea. Cornell University Press, 2011. In the years leading up to and directly following rapprochement with China in 1992, the South Korean government looked to ethnic Korean (Chosǒnjok) brides and laborers from northeastern China to restore productivity to its industries and countryside. South Korean officials and the media celebrated these overtures not only as a pragmatic solution to population problems but also as a patriotic project of reuniting ethnic Koreans after nearly fifty years of Cold War separation. Co-edited with Kevin Trainor. Embodying the Dharma: Buddhist Relic Veneration in Asia. SUNY, 2004. A Fragile Relationship: The United States and China since 1972. Brookings Institution, 1992. President Nixon's historic trip to China in February 1972 marked the beginning of a new era in Sino-American relations. For the first time since 1949, the two countries established high-level official contacts and transformed their relationship from confrontation to collaboration. Over the subsequent twenty years, however, U.S.-China relations have experienced repeated cycles of progress, stalemate, and crisis, with the events in Tiananmen Square in June 1989 the most recent and disruptive example. Paradoxically, although relations between the two countries are vastly more extensive today than they were twenty years ago, they remain highly fragile. China’s Second Revolution: Reforming Mao. Brookings Institution, 1987. China has, since 1976, been enmeshed in an extraordinary program of renewal and reform. The obvious changes—the T-shirts, blue jeans, makeup and jewelry worn by Chinese youth; the disco music blaring from radios and loudspeakers on Chinese streets; the television antennas mushrooming from both urban apartment complexes and suburban peasant housing; the bustling free markets selling meat, vegetables and clothing in China’s major cities—reflect a fundamental shift in the government’s policy toward the economy and political life. Although doubts about the long-term commitment to reform arose after the student protests in December 1986 and the dismissal of Party General Secretary Hu Yaobang in January 1987, the scope of reform has been so broad and the pace of change so rapid, that the post-Mao era fully warrants Den Xiaoping’s description of it as the “second revolution” undertaken by the Chinese Communist Party. Organizing China: The Problem of Bureaucracy, 1949-1966. Stanford University Press, 1981. Since the establishment of the People's Republic in 1949, Chinese Communist leaders have constructed an administrative apparatus that has exercised broader and tighter control over Chinese society than any previous government in the country's history. This is a history of the development of Chinese organizational policy - a topic of constant concern and often strident debate - from 1949 to the death of Mao Tse-tung in 1976. The author argues that Chinese organizational policy has been controversial because of the complexity of administrative problems, the effects of policy changes on the distribution of power and status, and the philosophical dilemma of whether the efficiency of modern bureaucracy outweighs its social and political costs. He also shows how extreme approaches, such as demands during the Cultural Revolution that bureaucracy be destroyed altogether or proposals during the 1950s that the bureaucracy be rationalized, have been repeatedly rejected in favor of a policy more in keeping with much of Chinese tradition: to recruit officials on the basis of their political views, subject them to ideological indoctrination, and rely on mass campaigns to implement Party policy. Trans. The Kojiki An Account of Ancient Matters. Columbia University Press, August, 2014. Co-edited with Dorothy C. Wong. China and Beyond in the Mediaeval Period: Cultural Crossings and Inter-regional Connections. Cambria Press, 2014. This volume examines China’s contacts with neighboring cultures in Central, South, Southeast, and Northeast Asia, as well as contacts among those cultures from the beginning of the Common Era to the tenth century and beyond. During this period, transregional and crosscultural exchanges were fostered by both peaceful and aggressive activities and movements of peoples across Eurasia along land and maritime routes. Such movements played an important role in world history in the medieval period, and yet many aspects of cultural exchanges across Eurasia remain understudied. The lack of knowledge is particularly evident in treatments of Chinese history between the Han and Tang empires. Examining relations with neighboring cultures during this period calls into question notions of China as a monolithic cultural entity. During the period covered in this volume, cultural contacts and exchanges were fostered by both peaceful and aggressive activities and movements of peoples along land and maritime routes of the so-called Silk Road. From the earliest recorded times, the Silk Road was a channel for the transmission of ideas, technologies, and artistic forms and styles across Eurasia, with far-reaching impact from the Pacific to the Atlantic. The Pursuit of Harmony Poetry and Power in Early Heian Japan. Cornell East Asia Series, 2009. The Heian court of the ninth and tenth centuries was characterized by pronounced political fragmentation and unprecedented poetic fertility. Gustav Heldt argues that the two were often linked by the act of "harmonizing in verse," a public mode of composition in which the words of a superior were cited in order to establish social hierarchies, affirm communal identities, and accommodate conflicting visions of political authority. Focusing on the period's new forms of poetry--the Kokinshu anthology, poetry matches, and screen poetry--as well as the practices surrounding their production, The Pursuit of Harmony marshals a wide range of historical sources to explore such topics as the interplay between the palace calendar and seasonal cycles, representations of social difference, ritual performances of royal virtue at banquets, and later scholastic interpretations of the Heian poetic legacy. In the process, this book provides new insights into a pivotal era in Japanese literature and culture. Illusory Abiding: The Cultural Construction of the Chan Monk Zhongfenf Mingben. Harvard East Asian Monographs, 2014. A groundbreaking monograph on Yuan dynasty Buddhism, Illusory Abiding offers a cultural history of Buddhism through a case study of the eminent Chan master Zhongfeng Mingben. Natasha Heller demonstrates that Mingben, and other monks of his stature, developed a range of cultural competencies through which they navigated social and intellectual relationships. They mastered repertoires internal to their tradition―for example, guidelines for monastic life―as well as those that allowed them to interact with broader elite audiences, such as the ability to compose verses on plum blossoms. These cultural exchanges took place within local, religious, and social networks―and at the same time, they comprised some of the very forces that formed these networks in the first place. This monograph contributes to a more robust account of Chinese Buddhism in late imperial China, and demonstrates the importance of situating monks as actors within broader sociocultural fields of practice and exchange. Quiet Riot: The Culture of Teaching and Learning in Schools. Rowman & Littlefield Publishers, 2015. Quiet Riot offers an anthropological critique of teaching and learning in two U.S. high schools over a twenty-seven year period. Based on the author's experiences shadowing two average students in 1983 and 2009, it presents detailed observations that powerfully capture the reality of student experiences in school. Despite many changes in schools over this near thirty year period, observations show a remarkable continuity in what goes on in classrooms. This is because the culture of teaching and learning in classrooms has remained relatively unchanged. While teachers are sincere, they also undermine their own efforts in a variety of ways. Students are disengaged not because they do not care, but because the instruction they receive systematically prevents them from engaging at a deep intellectual level with subject matter. Observations in high schools are supplemented with elementary school observations that demonstrate the early trajectories of disengagement that capture many students. The book illustrates the powerful patterning of the culture of teaching and learning in schooling that undermines the true goals of an authentic education. Mercury and the Making of California: Mining, Landscape, and Race, 1840-1890. University Press of Colorado, 2013. Mercury and the Making of California, Andrew Johnston’s multidisciplinary examination of the history and cultural landscapes of California’s mercury-mining industry, raises mercury to its rightful place alongside gold and silver in the development of the American West. Gold and silver could not be refined without mercury; therefore, its production and use were vital to securing power and wealth in the West. The first industrialized mining in California, mercury mining had its own particular organization, structure, and built environments. These were formed within the Spanish Empire, subsequently transformed by British imperial ambitions, and eventually manipulated by American bankers and investors. In California mercury mining also depended on a workforce differentiated by race and ethnicity. The landscapes of work and camp and the relations among the many groups involved in the industry—Mexicans, Chileans, Spanish, English, Irish, Cornish, American, and Chinese—form a crucial chapter in the complex history of race and ethnicity in the American West. Exemplary Women of Early China: The Lienü zhuan of Liu Xiang (Translations from the Asian Classics). Columbia University Press, 2014. The Establishment Of The Han Empire And Imperial China. Greenwood Publishing Group, 2005. Representations of Childhood and Youth in Early China. Stanford University Press, 2003. This is the first book in any language to explore the cultural connotations of childhood in the early phases of Chinese history. Drawing upon both traditional and archeological materials, this study encompasses the stages of human development that begin with the embryo and extend to late adolescence. While texts from China’s most ancient period scarcely mention children, rather suddenly, in Han times (206 BC-AD 220), the written record begins to feature fairly detailed references to children and the childhoods of famous figures. The aim of this book is to identify the cultural conditions that place children and childhood near the center of intellectual debate during this period. These conditions are related to the establishment of a centralized empire and are expressed in the discourse surrounding cosmology, medicine, law, statecraft, and―most important―dynastic history. The book describes the dangers that haunted children of high status, with the rules of succession, shifting power structures at court, and traditional views on patriarchy and parental authority (including the right of life and death over children) contributing to their vulnerability. Chinese Views of Childhood. University of Hawaii Press, 1995. Chinese in the twentieth century, intent on modernizing their country, condemned their inherited culture in part on the grounds that it was oppressive to the young. The authors of this pioneering volume provide us with the evidence to re-examine those charges. Drawing on sources ranging from art to medical treatises, fiction, and funerary writings, they separate out the many complexities in the Chinese cultural construction of childhood and the ways it has changed over time. listening to how Chinese talked about children - whether their own child, the abstract child in need of education or medical care, the ideal precocious child, or the fictional child - lets us assess in concrete terms the structures and values that underlay Chinese life. Hollywood Made in China. University of California Press, 2017. Visions of Empire: How Five Imperial Regimes Shaped the World. Princeton University Press, 2018. The empires of the past were far-flung experiments in multinationalism and multiculturalism, and have much to teach us about navigating our own increasingly globalized and interconnected world. Until now, most recent scholarship on empires has focused on their subject peoples. Visions of Empire looks at their rulers, shedding critical new light on who they were, how they justified their empires, how they viewed themselves, and the styles of rule they adopted toward their subjects. Krishan Kumar provides panoramic and multifaceted portraits of five major European empires—Ottoman, Habsburg, Russian/Soviet, British, and French—showing how each, like ancient Rome, saw itself as the carrier of universal civilization to the rest of the world. Sometimes these aims were couched in religious terms, as with Islam for the Ottomans or Catholicism for the Habsburgs. Later, the imperial missions took more secular forms, as with British political traditions or the world communism of the Soviets. Visions of Empire offers new insights into the interactions between rulers and ruled, revealing how empire was as much a shared enterprise as a clash of oppositional interests. It explores how these empires differed from nation-states, particularly in how the ruling peoples of empires were forced to downplay or suppress their own national or ethnic identities in the interests of the long-term preservation of their rule. This compelling and in-depth book demonstrates how the rulers of empire, in their quest for a universal world order, left behind a legacy of multiculturalism and diversity that is uniquely relevant for us today. From Post-Industrial to Post-Modern Society. Wiley-Blackwell, 2004. In the second edition of this classic study, Krishan Kumar introduces and assesses the rival claims of three theories crucial to an understanding of contemporary social theory: the information society; post-Fordism; and post-modernism. Explaining how these theories developed and why they have held such an appeal, the author provides the most readable and evenly balanced account of three very different, but overlapping paradigms. In a new and substantial introduction, Kumar places the three key approaches within the context of contemporary discourse on globalization. From Post-Industrial to Post-Modern Society is essential reading for anyone seeking to understand contemporary theories of social, cultural, and economic change. The Making of English National Identity. Cambridge University Press, 2003. Why is English national identity so enigmatic and so elusive? Why, unlike the Scots, Welsh, Irish and most of continental Europe, do the English find it so difficult to say who they are? The Making of English National Identity is a fascinating exploration of Englishness and what it means to be English. Drawing on historical, sociological and literary theory, Krishan Kumar examines the rise of English nationalism and issues of race and ethnicity from earliest times to the present day. He argues that the long history of the English as an imperial people has, as with other imperial people like the Russians and the Austrians, developed a sense of missionary nationalism which in the interests of unity and empire has necessitated the repression of ordinary expressions of nationalism. Professor Kumar's lively and provocative approach challenges readers to reconsider their pre-conceptions about national identity and who the English really are. 1989: Revolutionary Ideas and Ideals. University of Minnesota Press, 2001. In 1989, from East Berlin to Budapest and Bucharest to Moscow, communism was falling. The walls were coming down and the world was being changed in ways that seemed entirely new. The conflict of ideas and ideals that began with the French Revolution of 1789 culminated in these revolutions, which raised the prospect of the "return of Europe" of East and Central European nations, the "restarting of their history," even, for some, the "end of history." What such assertions and aspirations meant, and what the larger events that inspired them mean-not just for the world-are the questions Krishan Kumar explores in 1989. Co-edited with Jeff Weintraub. Public and Private in Thought and Practice. University of Chicago Press, 1997. This book brings together a set of original essays, both theoretical and empirical, that focus on the public/private distinction in social life and social thought, exploring different dimensions of, and approaches to, this grand dichotomy. The aim of the collection is to bring out the significance of this overarching theme for a wide range of issues and debates and, at the same time, to confront directly the complexity and ambiguity of the public/private distinction itself, both theoretically and sociohistorically. Drawing the lines between public and private - both practically and theoretically - has been a central preoccupation of Western thought since classical antiquity; and "public" and "private" have long served as key organizing categories in social and political analysis, in legal practice and jurisprudence, and in moral and political debates. We encounter this distinction in contexts that run from the most abstract theorizing to the most practical and immediate arenas of everyday life. In recent decades, different versions of the public/private distinction have become even more salient in a striking range of disciplines and areas of inquiry, from "public choice" economics to social history and feminist scholarship. While the relationship between the "public sector" and "privatization" has become a prominent issue of economic policy and political debate, there has also been an intensified interest in the history and transformations of "private life" - meaning, in this case, not corporations or entrepreneurship but changing modes of intimacy, sexuality, family, and friendship. An expanding "public choice" literature, rooted in neoclassical economics, coexists with a wave of concern for the "public sphere" of discussion and political action delineated by Jürgen Habemas or Hannah Arendt and for the "public life" of sociability charted by Philippe Ariè, Jan Jacobs, or Richard Sennett. While some wonder whether the social impact of new communications technologies is shifting (and perhaps eroding) the boundaries between "publicity" and "privacy" in fundamental ways, "privacy " has become a central concept in the controversy over abortion rights. In these and many other areas, the public/private distinction is more than ever a lively, even a burning, subject. Co-Edited with Stephen Bann. Utopias and the Millennium. Reaktion Books, 1993. Utopia has always had a close, though ambivalent, relationship with religious millennialism. This relationship was probably at its most intense in the seventeenth century, the time of the English Civil War; in subsequent centuries the two concepts often pulled against each other without, however, ever fully breaking the tie. Even when utopia aspired to secularism - as at the time of the French Revolution, or in nineteenth-century socialism - it continued to turn to millennial forms to recharge its energies. The essays in this book explore aspects of this relationship. Some investigate the role of utopianism and millennialism in the debates of the early modern period concerning human perfectibility. Others consider the efforts of the Enlightenment and the French Revolution to free utopia from its religious entanglement. A number of contributors reflect upon the apparent failure of the modern Communist utopia, or note the reappearance of apocalyptic themes in recent fiction and social theory, while others draw on the contributions of feminism and ecology. As the twentieth century draws to an end, it seems that utopia and the millennium are once more locked in an uneasy embrace. Utopianism. Open University Press, 1991. Utopia has become a vague term, synonymous almost with the Good Society or the Good Time. It is applied to the dreams and visions of all peoples and all times: from backward-looking myths of the Golden Age to the future prospect of a glorious Millenium, from Paradise Lost to Paradise Regained. But - so this book argues - utopia should be seen as a much more specific tradition of social and political thought. It has cultural and historical boundaries. It is a Western concept; and it arose in the West as a specific and highly original way of dealing with the novel problems of modern western society. Its themes are the characteristic ones of modern western society. Its themes are the characteristic ones of modern western social thought: power, inequality, democracy, science. But, as a form of imaginative fiction, its treatment of these themes is distinctive and compelling. Far from being merely fantasyt or wish fulfillment, utopiea is a critical rehearsal of the delemmas of modern society and, at the same time, a prescriptive account of the best way of resolving them. The Rise of Modern Society. Blackwell Publishers, 1988. What is the sociological theory of industrialism, and how far do the actual histories and practices of industrial societies match up to this theory? The studies in this volume examine many of the economic, social, political and cultural changes which the industrialization of society has caused, looking at continuities and discontinuities through pre-industrial, industrial and post-industrial societies before considering particular aspects, for example, the shortcomings of the Marxest theory of class are shown up by application to nineteenth-century English society; the theory of revolution is examined for its relevance to the conditions of advanced industrial societies; the changing meanings and changing practices of work and employment are traced; and the current problems of Britain are used to point the way to the future of other societies. These incisive essays by one of Britain's most admired social theorists will be of lasting value for all concerned with the history and future of modern society. Utopia and Anti-Utopia in Modern Times. Blackwell Publishers, 1987. The dream of a good or perfect society is as old as mankind. But 'utopia', the specifically literary expression of this dream, was invented only in 1516, by Sir Thomas More. From that time onwards, utopia has been a compelling form for the expression of the hopes and fears of western society. This book is mainly concerned with the latest phase of utopia's history: the period since the 1880's. It considers the utopias and anti-utopias of edward Bellamy, H.G. Wells, Aldous Huxley, George Orwell and B.F. Skinner. Science and socialism, their promise and their dangers, are the central themes of these works. The final part of the book considers that fate of utopia in the second half of the twentieth century. Co-edited with Adrian Ellis. Dilemmas of Liberal Democracies: Studies in Fred Hirsch's Social Limits to Growth. Tavistock Publications, 1983. When the late Fred Hirsch's Social Limits to Growth appeared in 1977, it was immediately hailed for raising in a compelling form some of the most important and urgent questions facing present-day Western societies. The ten essays in this book are a response to Hirsch's provocative and stimulating analysis of these questions. Hirsch himself was no opponent of economic growth, but in his brilliant and wide-ranging discussion he tried to show why growth had persistently turned out to be frustrating for the populations of industrial societies, and the source of many of our social discontents. The authors in this book use Hirsch's themes as the point of departure for a series of reflections on the political and economic crisis of contemporary Western democracies. Some take issue with his stoical pessimism, and argue that economic growth can be resumed and be of net benefit to the mass of the population. Others suggest that Hirsch is if anything too optimistic about the performance and promise of present-day capitalist societies. Others still are more interested in the theoretical and historical presuppositions of Hirsch's analysis, and use these as a means of exploring general aspects of the social and economic development of the West since medieval times. Throughout, Hirsch's contribution is compared with that of other major commentators on contemporary capitalism, such as Hayek and Habermas. In all cases, the main intention is not to praise or damn Hirsch but to use his immensly fertile book as a storrehouse of themes, each of which is central to contemporary political debate and to the concerns of a wide range of social science disciplines - especially politics, sociology, economics, and social policy. Prophecy and Progress: The Sociology of Industrial and Post-Industrial Society. Viking Press, 1978. Prophecy and Progress is an attempt to come to terms with the present position and the future prospects of Western industrial society. In particular it investigates the widely held and influential view that industrial societies are moving into a new stage in their evolution: a 'post-industrial' stage. Dr. Kumar examines the evidence that sustains this thesis and arrives at the conclusion that much of it is plausible only because of a widespread misconception of what 'classic' industiral society was all about. He deals first with the making of industrial society, moves onto the 'post-industrial' idea and concludes with a discussion on the prospects of a society that genuinely goes 'beyond industrialism'. Throughout he traces the varying fortunes of the belief in progress, the balance of the feelings of confidence and despair about the future development of society. Revolution: The Theory and Practice of a European Idea London. Weidenfeld and Nicolson, 1971. Since the end of the eighteenth century, revolution has been a central phenomenon of modern history, a formative experience of almost every modern nation. Krishan Kumar provides an original and provocative introduction to the study of this experience, including writings by revolutionary actors and theorists and his own essay on the nature of revolution. Borrowing a concept from art history, Mr. Kumar argues in his essay for an interpretation of revolution as a change of political 'style', and attempts to substantiate this by studying the theory and practice of European revolutions. This involves a discussion of the general causes and processes of revolution, with particular reference to those of France and Russia, and an examination of the unexpected fate of revolutions in Europe and in the Third World. The Literature of Leisure and Chinese Modernity. University of Hawai'i Press, 2008. The Chinese essay is arguably China’s most distinctive contribution to modern world literature, and the period of its greatest influence and popularity―the mid-1930s―is the central concern of this book. What Charles Laughlin terms "the literature of leisure" is a modern literary response to the cultural past that manifests itself most conspicuously in the form of short, informal essay writing (xiaopin wen). Laughlin examines the essay both as a widely practiced and influential genre of literary expression and as an important counter-discourse to the revolutionary tradition of New Literature (especially realistic fiction), often viewed as the dominant mode of literature at the time. After articulating the relationship between the premodern traditions of leisure literature and the modern essay, Laughlin treats the various essay styles representing different groups of writers. Each is characterized according to a single defining activity: "wandering" in the case of the Yu si (Threads of Conversation) group surrounding Lu Xun and Zhou Zuoren; "learning" with the White Horse Lake group of Zhejiang schoolteachers like Feng Zikai and Xia Mianzun; "enjoying" in the case of Lin Yutang’s Analects group; "dreaming" with the Beijing school. The concluding chapter outlines the impact of leisure literature on Chinese culture up to the present day. The Literature of Leisure and Chinese Modernity dramatizes the vast importance and unique nature of creative nonfiction prose writing in modern China. It will be eagerly read by those with an interest in twentieth-century Chinese literature, modern China, and East Asian or world literatures. Chinese Reportage: The Aesthetics of Historical Experience (Asia-Pacific: Culture, Politics, and Society). Duke University Press Books, 2002. Understanding the Chinese City. Sage, 2014. Co-edited with Esther Lorenz. Kowloon Cultural District, an Investigation into the Spacial Capabilities in Hong Kong. MCCM Creations, 2014. This book declares the existing Kowloon as a "cultural district" already in formation, constituting a parallel proposal to Hong Kong's West Kowloon Cultural District project. In a three-fold approach comprised of the Cabinet of Curiosities, Archives, and Retrievals, it documents indigenous practices and spaces, reformulates them through architectural proposals, and links them to a broader context through reflection in essays. Architecture and Modern Thought (Xiandai sixiang zhong de jianzhu). China WaterPower Press, 2009. Power and Virtue: Architecture and Intellectual Change in England 1660-1730. Routledge, 2007. This is the first full-length study on the connections between English architecture and intellectual change between 1660 and 1730. As new ideas developed in post-Restoration England across the realms of politics, culture, academia and morality, so too did architectural expression of these ideas. Power and Virtue articulately engages English architecture with notions of power and virtue in terms of empirical knowledge on the one hand and humanism and virtuosi on the other. Aimed at an academic readership in history and theory of architecture and the history of English architecture, this unique study will also interest those studying the ideas of material culture. The Routledge Advanced Chinese Multimedia Course: Crossing Cultural Boundaries (English and Mandarin Chinese Edition) 2nd Edition. Routledge, 2014. The Routledge Advanced Chinese Multimedia Course: Crossing Cultural Boundaries is an innovative multimedia course for advanced students of Chinese. Written by a team of highly experienced teachers, the book offers advanced learners of Chinese a chance to consolidate their foundation in the language through a variety of activities, which are designed to develop both language skills and cultural literacy. Divided into four thematic units covering popular culture, social change, cultural traditions and politics and history, each unit contains three lessons providing the student with a structured course which supports the transition from an intermediate to advanced level. The 12 lessons are comprised of texts which present interesting and accurate information about contemporary China, introducing the student to useful vocabulary, speech patterns, and idiosyncratic language usage. The Routledge Advanced Chinese Multimedia Course: Crossing Cultural Boundaries (English and Mandarin Chinese Edition). Routledge, 2009. Taiwan’s China Dilemma: Contested Identities and Multiple Interests in Taiwan’s Cross-Strait Economic Policy. Stanford University Press, 2016. 《边缘地带的革命：中共民族政策的源起（1921-1945）》Bianyuan Didai de Geming: Zhonggong Minzu Zhengce de Yuanqi, 1921-1945 (Revolution at the peripheries: the genesis of the Chinese Communist Party’s policies toward ethnic minorities, 1921-1945). The Chinese University of Hong Kong Press, 2018. This is the Chinese edition of Frontier Passages published in 2004. 《边疆中国——二十世纪周边暨民族关系史述》，香港中文大学出版社，2016年版 （Frontier China: 20th-century peripheral and interethnic relations), in Chinese. The Chinese University of Hong Kong Press, 2016. Recast All Under Heaven: Revolution, War, Diplomacy and Frontier China in the 20th Century. Continuum, 2010. This unique work studies the 20th-century continuation of a historical process that began in the mid-19th century, the modern transformation of Chinese territoriality. Reins of Liberation: An Entangled History of Mongolian Independence, Chinese Territoriality, and Great Power Hegemony, 1911–1950. Stanford University Press and Woodrow Wilson Center Press, 2006. The author's purpose in writing this book is to use the Mongolian question to illuminate much larger issues of twentieth-century Asian history: how war, revolution, and great-power rivalries induced or restrained the formation of nationhood and territoriality. He thus continues the argument he made in Frontier Passages that on its way to building a communist state, the CCP was confronted by a series of fundamental issues pertinent to China's transition to nation-statehood. The book's focus is on the Mongolian question, which ran through Chinese politics in the first half of the twentieth century. Between the Revolution of 1911 and the Communists' triumph in 1949, the course of the Mongolian question best illustrates the genesis, clashes, and convergence of Chinese and Mongolian national identities and geopolitical visions. Frontier Passages: Ethnopolitics and the Rise of Chinese Communism, 1921–1945. Stanford University Press and Woodrow Wilson Center Press, 2004. Co-edited with Vojtech Mastny. China and Eastern Europe, 1960–1980s: Proceedings of the International Symposium: Reviewing the Chinese–East European Relations from the 1960s to the 1980s, Beijing, March 24–26, 2004. Forschungsstelle für Scherheitspolitik der ETH Zürich, 2004. Co-edited with George Wei. Exploring Nationalisms of China: Themes and Conflicts. Greenwood Publishing Group, 2002. China is a site for the evolution, not only of Chinese nationalism, but the nationalism of various non-Han ethnic groups. During the 20th century, these ethnic groups constructed and expressed their own identities and nationalism through interaction with one another and with outside influences. This interdisciplinary anthology contains nine original works that pluralize our understanding of nationalism in China by illustrating the various intellectual strains of China's nationalist discourse, the dichotomy between the political authorities' and grass roots' experiences, and the nationalizing efforts by various ethnic and political groups along China's inland and maritime frontiers. First, contributors explore the controversy surrounding the contested issue of China's national and international identity from pre-modern times to the present. Next, the authors examine China's nationalist encounters with foreign influences such as U.S. Marines in Shandong, Soviet experts in Manchuria, and recent friction between the United States and the PRC. Finally, essays expand beyond the ethnographic regions of the Han-Chinese and the political domain of the PRC to discuss the odyssey of Taiwan's nationalism in both a political and a cultural sense. Many selections are based on newly declassified archival materials. Co-edited with George Wei. Chinese Nationalism: Historical and Recent Cases. Greenwood Publishing Group, 2001. Wei and Liu argue that Chinese nationalism is a multifaceted concept. At different historical moments and under certain circumstances, it had different meanings and interacted with other competing motives and interests. The authors of this timely volume, all of whom are of Chinese origin and bi-national education, have produced a balanced and non-culture-bound work of scholarship. It contains diverse, provocative, and in-depth analysis of both historical and recent case studies that can shed light on the contemporary incarnation of Chinese nationalism. This interdisciplinary anthology looks at variants of Chinese nationalism upheld and contended by social groups, classes, and power-holders from the past to the present. The authors argue that nationalism can be supported by both patriotic and group- or party-oriented interest calculations. Forms of Chinese nationalism can result from situational as well as ideological conditions. A Partnership for Disorder: China, the United States, and Their Policies for the Postwar Disposition of the Japanese Empire, 1941–1945. Cambridge University Press, 1996. A Partnership of Disorder examines the American-Chinese foreign policy planning in World War II for decolonizing the Japanese Empire and controlling Japan after the war. The study reveals how their disagreements on many concrete issues prevented the two governments from forging an effective partnership. Among these issues were the role of the Soviet Union and the meaning of Asian nationalism. At the war's end, the victorious Allies were neither in cooperation among themselves nor in a position to cope with the upheavals in Asia. Co-edited with Li Shiqiao (eds. ), Kowloon Cultural District. An Investigation into Spatial Capabilities in Hong Kong. MCCM Creations, 2014. Ed., Links and Hubs. The Chinese University of Hong Kong School of Architecture, 2012. Historical Knowledge, Historical Error: A Contemporary Guide to Practice. University of Chicago Press, 2007. In the past thirty years, historians have broadened the scope of their discipline to include many previously neglected topics and perspectives. They have chronicled language, madness, gender, and sexuality and have experimented with new forms of presentation. They have turned to the histories of non-Western peoples and to the troubled relations between “the West” and the rest. Allan Megill welcomes these developments, but he also suggests that there is now confusion among historians about what counts as a justified account of the past. In Historical Knowledge, Historical Error, Megill dispels some of the confusion. Here, he discusses issues of narrative, objectivity, and memory. He attacks what he sees as irresponsible uses of evidence while accepting the art of speculation, which incomplete evidence forces upon historians. Along the way, he offers succinct accounts of the epistemological road historians have traveled from Herodotus and Thucydides through Leopold von Ranke and Alexis de Tocqueville, and on to Hayden White, Natalie Zemon Davis, and Lynn Hunt. Karl Marx: The Burden of Reason (Why Marx Rejected Politics and the Market). Rowman & Littlefield, 2002. Ed., Rethinking Objectivity. Duke University Press, 1994. Co-edited with John S. Nelson and Donald N. McCloskey. The Rhetoric of the Human Sciences: Language and Argument in Scholarship and Public Affairs. University of Wisconsin Press, 1987. Opening with an overview of the renewal of interest in rhetoric for inquiries of all kinds, this volume addresses rhetoric in individual disciplines - mathematics, anthropology, psychology, economics, sociology, political science and history. Drawing from recent literary theory, it suggests the contribution of the humanities to the rhetoric of inquiry and explores communications beyond the academy, particulary in women's issues, religion and law. The final essays speak from the field of communication studies, where the study of rhetoric usually makes its home. Prophets of Extremity: Nietzsche, Heidegger, Foucault, Derrida. University of California Press, 1985. In this book, the author presents an interpretation of four thinkers: Nietzsche, Heidegger, Foucault, and Derrida. In an attempt to place these thinkers within the wider context of the crisis-oriented modernism and postmodernism that have been the source of much of what is most original and creative in twentieth-century art and thought. The Heart of the Tibetan Language. The Library of Tibetan Works and Archives, 2018. The Tumbleweed Society: Working and Caring in an Age of Insecurity. Oxford University Press, 2018. Beyond the Cubicle: Job Insecurity, Intimacy, and the Flexible Self. Oxford University Press, 2016. Longing and Belonging: Parents, Children, and Consumer Culture. University of California Press, 2009. Talons and Teeth, County Clerks and Runners in the Qing Dynasty, Stanford University Press, 2000. For commoners in the Qing dynasty, the most salient agents of the imperial state were not the emperor's appointed officials but rather the clerks and runners of the county yamen, the lowest level of functionaries in the Qing state's administrative hierarchy. Yet until now we have known very little about these critically important persons beyond the caricatured portrayals of corruption and venality left by Qing high officials and elites. Drawing from the rich archival records of Ba county, Sichuan, the author challenges the simplicity of these portrayals by taking us inside the county yamen to provide the first detailed look at local administrative practice from the perspective of those who actually carried it out. Who were the county clerks and runners? How were they recruited, organized, disciplined, and rewarded? What was the economic basis for a career in the yamen? How did clerks and runners view themselves as well as legitimize their role in Qing government? And what impact did their interests and practices have on symbolically laden elements of imperial government such as the magistrate's court? In addressing these questions, the author traverses the disjuncture between statutory regulations and the realities of daily administrative practice, uncovering a realm of informal, semiautonomous, yet highly structured and even rationalized procedures. Although frequently in violation of formal law, this extra-statutory system nevertheless remained an irreducible component of local government under the Qing. Recognizing the centrality of such informal practice to yamen administration forces us to rethink not only traditional assumptions concerning local corruption in the Qing, but also the ways in which we conceptualize the boundaries between state and society in late imperial China. Trans., with an introduction and notes. The Life of the Buddha by Tenzin Chögyel. Penguin Classics, 2015. The story of Shakyamuni Buddha’s epic journey to enlightenment is perhaps the most important narrative in the Buddhist tradition. Tenzin Chögyel’sThe Life of the Buddha, composed in the mid–eighteenth century and now in a vivid new translation, is a masterly storyteller’s rendition of the twelve acts of the Buddha. Chögyel’s classical tale seamlessly weaves together the vast and the minute, the earthly and the celestial, reflecting the near-omnipresent aid of the gods alongside the Buddha’s moving final reunion with his devoted son, Rahula. The Life of the Buddha has the power to engage people through a deeply human story with cosmic implications. Co-edited with Gray Tuttle and Matthew T. Kapstein. Sources of Tibetan Tradition. In the Introduction to Asian Civilizations series. Columbia University Press, 2013. Co-edited with Gray Tuttle. The Tibetan History Reader. Columbia University Press, 2013. The Culture of the Book in Tibet. Columbia University Press, 2009. An Early Tibetan Survey of Buddhist Literature: The Bstan pa rgyas pa nyi ma’i ‘od zer of Bcom ldan ral gri. Kurtis R. Schaeffer and Leonard W. J. van der Kuijp. Cambridge, MA: Harvard Oriental Series, 2009. HOS64. This volume is a study and edition of Bcom Idan ral gri's (1227-1305) Bstan pa rgyas pa rgyan gyi nyi 'od. Likely composed in the last decades of the thirteenth century, this systematic list of Buddhist Sutras, Tantras, Shastras, and related genres translated primarily from Sanskrit and other Indic languages holds an important place in the history of Buddhist literature in Tibet. It affords a glimpse of one Tibetan scholar's efforts to classify more than two thousand titles of Buddhist literature in the decades before the canonical collections known as the Bka' 'gyurand the Bstan 'gyur achieved a relatively stable form. Tibetan historiography traces the origin of the Bka' 'gyurand Bstan 'gyur to Bcom ldan ral gri's efforts, though the unique structure of the Bstan pa rgyas pa rgyan gyi nyi 'od, which differs greatly from available Bka' 'gyur and Bstan 'gyur catalogs, shows that the situation is more complex. Known to contemporary scholars of Tibetan literature for some time through mention in other works, Bcom ldan ral gri's survey has recently become available for the first time in two manuscripts. The present work contains a detailed historical introduction, an annotated edition of the two manuscripts, as well as concordances and appendices intended to aid the comparative study of early Tibetan collections of Indic Buddhist literature. Co-edited with Bryan J. Cuevas. Power, Politics and the Reinvention of Tradition in Seventeenth and Eighteenth Century Tibet: Proceedings of the International Association for Tibetan Studies, Xth Seminar, Oxford University, 2003. Brill, 2006. This volume focuses upon the relationships between the past and the present evoked in Tibetan historiography, ritual literature, and Buddhist esoteric writings. It offers diverse perspectives on a critical period in Tibet's history when Tibetans found themselves caught up in the tides of political turmoil and forced into the center of a much larger Central Eurasian struggle for power and territorial control between the Manchu rulers of the Qing empire and the Mongols of the north. The volume highlights the various ways Tibetan historians, biographers, and Buddhist scholars during the seventeenth and eighteenth centuries succeeded in the task of reinventing and reinforcing their respective traditions. Dreaming the Great Brahmin: Tibetan Traditions of a Buddhist Poet Saint. Oxford University Press, 2005. Dreaming the Great Brahmin explores the creation and recreation of Buddhist saints through narratives, poetry, art, ritual, and even dream visions. The first comprehensive cultural and literary history of the well-known Indian Buddhist poet saint Saraha, known as the Great Brahmin, this book argues that we should view Saraha not as the founder of a tradition, but rather as its product. Kurtis Schaeffer shows how images, tales, and teachings of Saraha were transmitted, transformed, and created by members of diverse Buddhist traditions in Tibet, India, Nepal, and Mongolia. The result is that there is not one Great Brahmin, but many. More broadly, Schaeffer argues that the immense importance of saints for Buddhism is best understood by looking at the creative adaptations of such figures that perpetuated their fame, for it is there that these saints come to life. Himalayan Hermitess: The Life of a Tibetan Buddhist Nun. Oxford University Press, 2004. Ed., with an introdution. Among Tibetan Texts: Essays on Tibetan Religion, Literature, and History by E. Gene Smith. Wisdom Publications, 2001. For three decades, E. Gene Smith ran the Library of Congress's Tibetan Text Publication Project of the United States Public Law 480 (PL480) - an effort to salvage and reprint the Tibetan literature that had been collected by the exile community or by members of the Bhotia communities of Sikkim, Bhutan, India, and Nepal. Smith wrote prefaces to these reprinted books to help clarify and contextualize the particular Tibetan texts: the prefaces served as rough orientations to a poorly understood body of foreign literature. Originally produced in print quantities of twenty, these prefaces quickly became legendary, and soon photocopied collections were handed from scholar to scholar, achieving an almost cult status. These essays are collected here for the first time. The impact of Smith's research on the academic study of Tibetan literature has been tremendous, both for his remarkable ability to synthesize diverse materials into coherent accounts of Tibetan literature, history, and religious thought, and for the exemplary critical scholarship he brought to this field. Race for the Exits: The Unraveling of Japan’s System of Social Protection. Cornell University Press, 2006. Contrary to all expectations, Japan's long-term recession has provoked no sustained political movement to replace the nation's malfunctioning economic structure. The country's basic social contract has so far proved resistant to reform, even in the face of persistently adverse conditions. In Race for the Exits, Leonard J. Schoppa explains why it has endured and how long it can last. The postwar Japanese system of "convoy capitalism" traded lifetime employment for male workers against government support for industry and the private (female) provision of care for children and the elderly. Two social groups bore a particularly heavy burden in providing for the social protection of the weak and dependent: large firms, which committed to keeping their core workforce on the payroll even in slow times, and women, who stayed home to care for their homes and families. Using the exit-voice framework made famous by Albert Hirschman, Schoppa argues that both groups have chosen "exit" rather than "voice," depriving the political process of the energy needed to propel necessary reforms in the system. Instead of fighting for reform, firms slowly shift jobs overseas, and many women abandon hopes of accommodating both family and career. Over time, however, these trends have placed growing economic and demographic pressures on the social contract. As industries reduce their domestic operations, the Japanese economy is further diminished. Japan has also experienced a "baby bust" as women opt out of motherhood. Schoppa suggests that a radical break with the Japanese social contract of the past is becoming inevitable as the system slowly and quietly unravels. Bargaining With Japan: What American Pressure Can and Cannot Do. Columbia, 1997. Education Reform in Japan. Routledge, 1991. The Japanese education system, while widely praised in western countries, is subject to heavy criticism within Japan. Education Reform in Japan analyses this criticism, and explains why proposed reforms have failed. The author shows how the Japanese policy-making process can become paralysed when there is disagreement, and argues that this `immobilism' can affect other areas of Japanese policy-making. Statecraft and Political Economy on the Taiwan Frontier, 1600-1800. Stanford University Press, 1993. Co-ed. with Ken C. Kawashima and Fabian Scahfer. Tosaka Jun: A Critical Reader. Cornell University – Cornell East Asia Series, 2014. Bad Water: Nature, Pollution, and Politics in Japan, 1870–1950 (Asia-Pacific: Culture, Politics, and Society). Duke University Press Books, 2014. A Handbook of Tasks and Rubrics for Teaching Mandaring Chinese (Volume 1). Pheonix Tree Publishing, 2014. Taking a task-based approach and combining theory and practice, this book discusses the principles of the design and implementation of classroom activities for task-based teaching and explores feasible assessment items, criteria and assessment scale, providing Chinese language teachers with a successful model and platform for professional task-based classroom teaching. With plenty of lively cases of teaching activities and examples of assessment of CFL (Chinese as a foreign language) learning, the book is of great guiding and demonstrating value for the application of pedagogical theories. It is a good reference for CFL teachers. Co-edited with Yuk Wah Chan. Borderlands in East and Southeast Asia: Emergent Conditions, Relations and Prototypes. Routledge, 2017. This book provides a glimpse into the different emergent borderland prototypes in East and Southeast Asia, with illustrative cases and discussions. Asia has contained a number of reactivated border zones since the end of the Cold War, borders which have witnessed ever greater human activity, concerning trade, commerce, tourism, and other forms of money-related activities such as shopping, gambling and job-seeking. Through seven borderland cases, the contributors to this volume analyse how the changing political economy and the regional and international politics of Asia have shaped and reshaped borderland relations and produced a few essential prototypes of borderland in Asia, such as reopened borders and re-activated economic zones; reintegrated but "separated" border cities; porous borderlands; and abstruse borderlands. This book aims to bring about further discussions of borderland development and governance, and how these actually inform and shape state-state and state-city relations across borders and regional politics. This book was originally published as a special issue of Asian Anthropology. Asymmetry and International Relationships. Cambridge University Press, 2016. Power is real, but it does not always prevail. This book explores how disparity structures international relationships. Beginning at the bilateral level, the relationship between the smaller side and the larger side can be normal as long as the smaller does not feel threatened and the larger can assume that its capabilities are respected. However, the smaller can be tempted to brinksmanship, while the larger can be tempted to bully. Asymmetric conflicts are often stalemated because the limited commitment of the larger side is met by the smaller's mortal resistance. In multilateral situations, asymmetry shapes patterns of uncertainty and attention. In global systems, how hegemons treat their subjects is the unobserved sand shifting beneath their feet as they look toward their challenger. Since 2008, the US has retained primacy but not dominance. The management of asymmetric relationships in a multinodal world will determine how power matters in the current era. Rethinking the Triangle: Washington, Beijing, Taipei. World Scientific Publishing Co, 2016. Rethinking the Triangle: Washington-Beijing-Taipei is a book on foreign policy with a difference. Under the premise that the Cold War mentality is outdated, the book explores a new paradigm for the three parties' interrelationships based on inclusiveness and opportunity rather than each hedging against increasingly unlikely crises. It states that instead of seeing Taiwan as a security liability, the US should use it as a compatible point of contact to East Asia, and China should view the US–Taiwan relationship as an opportunity rather than as an intervention. Rather than focusing only on American policy options, the book treats the most important triangular interaction in Asia from the standpoint of each of its participants, by an expert from each country. The book also includes brief discussions by experts from Japan and Macau considering the general salience of the new paradigm for Asia. For readers' easy reference, it also includes a triangular chronology as well as a selection of major documents relating to the triangle. Renditions Study Mao Zedong abroad on the Basis of Political Ideology (1917-1935). China Renmin University Press, 2013. China Among Unequals: Asymmetric Foreign Relationships in Asia. World Scientific Publishing Company, 2010. China Among Unequals presents asymmetry theory, a new paradigm for the study of international relations, derived from China's relationships with its neighbors and the world. The first collection of its kind, it brings together key writings on the theory and its applications to China's basic foreign policy, particularly towards the United States and the rest of Asia. Starting with an exploration of the general theory of asymmetry, with particular attention given to such topics as human rights, soft power, regionalism, and asymmetric wars, the book then moves on to the fundamentals of China's external relations, looking at the complexities created by its scale and broad range of neighbors. Traditional imperial relationships are analyzed, as well as China's more recent emphasis on multipolarity. The third section deals with UsChina ties China's most important relationship, and the only one in which it is in the more vulnerable position. The final section treats in detail the relationships between China and its Asian neighbors, including Southeast Asia and the complicated multilateral situations of Korea and Taiwan. China and Vietnam: The Politics of Asymmetry. Cambridge University Press, 2006. In their three thousand years of interaction, China and Vietnam have been through a full range of relationships. Twenty-five years ago they were one another's worst enemies; fifty years ago they were the closest of comrades. Five hundred years ago they each saw themselves as Confucian empires; fifteen hundred years ago Vietnam was a part of China. Throughout all these fluctuations the one constant has been that China is always the larger power, and Vietnam the smaller. China has rarely been able to dominate Vietnam, and yet the relationship is shaped by its asymmetry. The Sino-Vietnamese relationship provides the perfect ground for developing and exploring the effects of asymmetry on international relations. Womack develops his theory in conjunction with an original analysis of the interaction between China and Vietnam from the Bronze Age to the present. Media and the Chinese Public (Chinese Sociology and Anthropology). Routledge, 1987. An anthology of ten short stories by one of Korea's foremost living writers. The literary world of Pak explores the moral ambiguities inherent in Korea's society today and encourages the reader to question the injustices that prevail in the more impersonal world emerging in a "globalized" Korea. The Foundations of Mao Zedong’s Political Thought, 1917-1935. University of Hawai'i Press, 1982. Chapters include: Introduction; Chapter 1: Mao before Marxism; Chapter 2: Mao, the Party, and the national revolution, 1923-1927; Chapter 3: Rural revolution, 1927-1931; Chapter 4: Governing the Chinese Soviet Republic, 1931-1934; Chapter 5: The foundations of Mao Zedong's political thought; Notes and index. Buddhist Pilgrim-Monks as Agents of Cultural and Artistic Transmission: The International Buddhist Art Style in East Asia, ca. 645 – 770. National University Press of Singapore Press, 2018. A common style in East Asian Buddhist art emerged in China, Japan and Korea in the middle of the seventh century and prevailed for about a hundred years. What took shape from the exchange of ideas, practices, and art forms between China and the surrounding regions was a synthetic art style uniform in iconography and formal characteristics. In this richly illustrated study, Dorothy C. Wong argues that notions of Buddhist kingship and a theory of the Buddhist state were in the ascendant across East Asia during this period, and that these religio-political ideals found visual expression in the new art style. Wong asserts that Buddhist pilgrim-monks (traveling between the courts and religious centers) were among the key agents in the transmission of these ideals, and her work assesses their role in the spread, circulation, adoption and transformation of the visual language of state Buddhism, and of the attendant rituals and practices. Transcending cultural and geographical boundaries, this cosmopolitan visual style of Buddhism helped shape the cultural landscape of Northeast Asia. Co-edited with Gustav Heldt. China and Beyond in the Mediaeval Period: Cultural Crossings and Inter-regional Connections. Cambria Press, 2014. 中國石碑：一種象徵形式在佛教傳入之前與之後的運用 (Chinese edition of Chinese Steles: Pre-Buddhist and Buddhist Use of a Symbolic Form published in 2004). Trans. Mao Qiujin. Shangwu Press, 2011. Co-edited with Eric M. Field (design). Hōryūji Reconsidered. Cambridge Scholars Publishing, 2008. Designated a UNESCO World Heritage site in 1993, the Hōryūji temple complex includes some of the oldest and largest surviving wooden buildings in the world. The original Hōryūji temple was built between 601 and 607 by Prince Regent Shōtoku (573?-622), one of Japan's best-known cultural heroes. The construction of the temple marked the introduction of Buddhism and Buddhist art and architecture to Japan from China, by way of the Korean peninsula, as promoted by Prince Shōtoku. After a fire in 670 that destroyed the site, the temple was rebuilt and enlarged. Hōryūji became one of Japan's leading centers of Buddhist scholarship as well as a focus for the cult of its founder, Prince Shōtoku. This volume of essays originate from the "The Dawn of East Asian International Buddhist Art and Architecture: Hōryūji (Temple of the Exalted Law) in Its Contexts" symposium held at the University of Virginia in October 2005. Covering the disciplines of archaeology, architecture, architectural history, art history, and religion, these essays aim to shed new light on the Hōryūji complex by (1) examining new archaeological materials, (2) incorporating computer analysis of the structural system of the pagoda, and (3) including cross-cultural, interdisciplinary perspectives that reflect current research in various ways. Chinese Steles: Pre-Buddhist and Buddhist Use of a Symbolic Form. University of Hawai’i Press, 2004. Buddhist steles represent an important subset of early Chinese Buddhist art that flourished during the Northern and Southern Dynasties period (386-581). Adapted from the traditional Chinese stone tablet (bei) used for carving Buddhist images, symbols, and allegorical stories, this hybrid form epitomizes the close interactions and synthesis of indigenous Chinese and Indian Buddhist traditions on many levels: religious, social, cultural, and artistic. The phenomenon of Buddhist steles lasted only about a century (from the late fifth through the sixth century), yet this brief period yielded many works of superb artistic quality. These steles also offer important insights into the role Buddhism played in the history and culture of early medieval China and the process of adaptation and transformation by which the foreign religion was assimilated into Chinese society and became part of its civilization. More than two hundred Chinese Buddhist steles are known to have survived. Their brilliant imagery has long captivated scholars, yet until now the Buddhist stele as a unique art form has received little scholarly attention. Dorothy Wong rectifies that insufficiency by providing in this well-illustrated volume the first comprehensive investigation of this group of Buddhist monuments. She traces the ancient roots of the Chinese stele tradition and investigates the process by which Chinese steles were adapted for Buddhist use. She arranges the known corpus of Buddhist steles into broad chronological and regional groupings and analyzes not only their form and content but also the nexus of complex issues surrounding this art form — from cultural symbolism to the interrelations between religious doctrine and artistic expression, economic production, patronage, and the synthesis of native and foreign art styles. In her analysis of Buddhism's dialogue with native traditions, Wong demonstrates how the Chinese artistic idiom planted the seeds for major achievements in figural and landscape arts in the ensuing Sui and Tang periods. Considering the use of the upright stone by artists in many civilizations, this study of traditional Chinese bei and their Buddhist adaptations contemplates subjects that transcend the steles' own time and place, thus entering the larger discussion of the nature of symbolic forms. Co-ed. with Josef C. Brada and Paul Wachtel. China’s Economic Development. Palgrave Macmillan Publisher (2014). This essential reader brings together a collection of influential contributions on China's economic development, which first appeared in the Palgrave journal Comparative Economic Studies. Each chapter has been carefully selected for the contribution it has made to furthering the understanding of China's unique path to development. Topics covered include: public infrastructure, urbanisation policy, industrial policy, monetary policy, agricultural crisis and land reform. Co-ed. with Cai Fang and Huang Yiping. Has China Passed the Lewisian Turning Point? (in Chinese). China: Social Sciences Academic Press, 2012. Co-ed. with Belton Fleisher, Nick Hope and Anita Pena. Policy Reform and Chinese Markets: Progress and Challenges. Edward Elgar Publishing, 2008. The evolution of China's market economy is one of the most important developments in the world economy in the twenty-first century. The diverse contributors to this book provide a unique set of essays that evaluate legal, regulatory, and economic aspects of China's transition from planned to market economy. While market-oriented policy reform in China has led to substantial growth and progress since the onset of the reform period in 1979, many challenges remain. This study begins with a general survey of China's transition to a market economy and is followed by more elaborate analyses of specific sectors. The authors consider China's changing regulatory structure and the relationships of this structure to Chinese markets, developments in markets for goods, services, and production factors, changing trade patterns, and the determinants of foreign direct investment and its role in overall capital formation. They provide a comprehensive assessment of market reforms in China. In-depth yet accessible, the book will be of great value to policy makers, business planners, students and researchers concerned with China, as well as those interested in the world economy at large. Co-ed. with Nick Hope and Mu Y. Li. How Far Across the River? Chinese Policy Reform at the Millennium. Stanford University Press, 2003. Gradual change has been a hallmark of the Chinese reform experience, and China's success in its sequential approach makes it unique among the former command economies. Since 1979, with the inception of the continuing era of reform, the Chinese economy has flourished. Growth has averaged nine percent a year, and China is now a trillion dollar economy. China has become a major trading power and the predominant target among developing countries for foreign direct investment. Despite all this, China remains poor and the reform process unfinished. This book takes its defining theme from Deng Xiaopeng's famous metaphor for gradual reform: “feeling the stones to cross the river.” How far has China progressed in fording the river? The experts who contributed to this volume tackle many aspects of that question, assessing Chinese progress in policy reform, priorities for further reform, and the research still needed to inform policymakers’ decisions. Trans. Record of the Listener: Selected Stories from Hong Mai’s Yijian zhi. Hackett Publishing, 2018. Scholars who know classical Chinese have been reading and citing Hon Mai's wonderful collection for many years. Now students can access these informative materials through Zhang's lively English translations. They are both fun to read and deeply informative about daily life, religion, markets, and multiple social groups in the twelfth century. The comprehensive thematic guide allows readers to locate tales by subject matter, making this collection of 100 narratives ideal for classroom use. 行万里路：宋代旅行与文化 (Chinese translation of Transformative Journeys: Travel and Culture in Song China). Trans. Li Wenfeng 李文锋. Zhejiang University Press, 2016. Co-edited with Ping Yao. Dangdai xifang Hanxue yanjiu jicui, sixiang wenhua shi juan 当代西方汉学研究集萃 (Contemporary Western Sinological Works, Cultural and Intellectual History). Shanghai guji chubanshe, 2012, 2016. Transformative Journeys: Travel and Culture in Song China. University of Hawai'i Press, 2011. During the Song (960-1279), all educated Chinese men traveled frequently, journeying long distances to attend school and take civil service examinations. They crisscrossed the country to assume government posts, report back to the capital, and return home between assignments and to attend to family matters. Based on a wide array of texts, Transformative Journeys analyzes the impact of travel on this group of elite men and the places they visited. In the first part of the book, Cong Ellen Zhang considers the practical aspects of travel during the Song in the context of state mobilization of and assistance to government travelers, including the infrastructure of waterways and highways, the bureaucratic procedures entailed in official travel, and the means of transport and types of lodging. The second part of the book focuses on elite activities on the road, especially the elaborate farewell banquets, welcoming ceremonies, and visits to famous places. Zhang argues convincingly that abundant travel experience became integral to Song elite identity and status, greatly strengthening the social and cultural coherence of the practitioners. In promoting their experience of traveling across a large empire, Song elite men firmly established their position as the country’s political, social, and cultural leaders. The literary compositions and physical traces they left behind also formed an overlapping web of collective memories, continually enhancing local pride and defining the place of various localities in the cultural geography of the country. Transformative Journeys sheds new light on the nature of Chinese literati, their dominance of culture and society, and China’s social and cultural integration. Those interested in premodern China and travel literature will find a wealth of material previously unavailable to Western readers. Japan's Postwar History. Cornell University Press, 2004. Japan's Postwar History is the only book that provides an integrated analysis of Japan's social, political, and economic history from 1932 until the present day. Gary D. Allinson has substantially updated his work for a second edition that takes Japan from the bursting of the economic bubble through the long recession of the 1990s and up to 2003. The Columbia Guide to Modern Japanese History. Columbia University Press, 1999. Japan's transformation from an isolated society to a military empire and, after a crushing defeat in World War II, into one of the world's foremost economic powers is one of the most fascinating stories of modern history. Although much has been written about modern Japan, no reference book has analyzed its political, economic, social, and cultural history to render a holistic account of the sweeping changes Japan has undergone since 1850. Now, with The Columbia Guide to Modern Japanese History, Gary D. Allinson presents this much-needed learning resource for students of Japanese society and for lay readers seeking to better understand the economic powerhouse of East Asia during the 150 years that have catapulted it to international preeminence. Political Dynamics in Contemporary Japan. Cornell University Press, 1993. Suburban Tokyo: A Comparative Study in Politics and Social Change. University of California Press, 1979. Japanese Urbanism. Industry and Politics in Kariya, 1872 - 1972. University of California Press, 1975. The Sage and Society: The Life and Thought of Ho Hsin-Yin (Monograph of the Society for Asian and Comparative Philosophy ; no. 1). University of Hawaii Press, 1974. A Ming Directory 明代研究名錄. Cheng Wen Publishing, 1968. Saicho: The Establishment of the Japanese Tendai School. University of Hawaii Press, 2000. Saicho (767-822), the founder of the Tendai School, is one of the great masters of Japanese Buddhism. This edition, which includes a new preface by the author, makes available again a classic work on this important figure’s life and accomplishments. Groner’s study focuses on Saicho’s founding of the great monastic center on Mount Hiei, the leading religious institution of medieval Japan, and his radical move to adopt for purposes of ordination the Mahayana bodhisattva precepts--a decision that had far-reaching consequences for the future of Japanese Buddhist ethical thought, monastic training and organization, lay-clerical relations, philosophical developments, and Buddhism-state relations. Trans. History of Indian Buddhism: From Sakyamuni to Early Mahayana (Buddhist Tradition). Montilal Banarsidass, 2007. Ryogen and Mount Hiei: Japanese Tendai in the Tenth Century (Studies in East Asian Buddhism). University of Hawaii Press, 2002. Lianda: A Chinese University in War and Revolution. Stanford University Press, 1999. In the summer of 1937, Japanese troops occupied the campuses of Beijing’s two leading universities, Beida and Qinghua, and reduced Nankai, in Tianjin, to rubble. These were China's leading institutions of higher learning, run by men educated in the West and committed to modern liberal education. The three universities first moved to Changsha, 900 miles southwest of Beijing, where they joined forces. But with the fall of Nanjing in mid-December, many students left to fight the Japanese, who soon began bombing Changsha. In February 1938, the 800 remaining students and faculty made the thousand-mile trek to Kunming, in China’s remote, mountainous southwest, where they formed the National Southwest Associated University (Lianda). In makeshift quarters, subject to sporadic bombing by the Japanese and shortages of food, books, and clothing, students and professors did their best to conduct a modern university. In the next eight years, many of China’s most prominent intellectuals taught or studied at Lianda. This book is the story of their lives and work under extraordinary conditions. Lianda’s wartime saga crystallized the experience of a generation of Chinese intellectuals, beginning with epic journeys, followed by years of privation and endurance, and concluding with politicization, polarization, and radicalization, as China moved from a war of resistance against a foreign foe to a civil war pitting brother against brother. The Lianda community, which had entered the war fiercely loyal to the government of Chiang Kai-shek, emerged in 1946 as a bastion of criticism of China’s ruling Guomindang party. Within three years, the majority of the Lianda community, now returned to its north China campuses in Beijing and Tianjin, was prepared to accept Communist rule. In addition to struggling for physical survival, Lianda’s faculty and students spent the war years striving to uphold a model of higher education in which modern universities, based in large part on the American model, sought to preserve liberal education, political autonomy, and academic freedom. Successful in the face of wartime privations, enemy air raids, and Guomindang pressure, Lianda’s constituent universities eventually succumbed to Communist control. By 1952, the Lianda ideal had been replaced with a politicized and technocratic model borrowed from the Soviet Union. Rebels and Bureaucrats: China's December 9ers. University of California Press, 1976. Modern Japanese Women Writers as Artists as Cultural Critics. Merwinasia, 2013. Modern Japanese women writers as artists as cultural critics is a subject that has not received adequate attention from Japan specialists in North America. Translated and discussed here are critical essays by three of the most innovative, outspoken, and provocative women writers in recent Japanese literary history: Yuriko Miyamoto (1899–1951), Saegusa Kazuko (1929– ), and Minako Oba (1930–2007) with the objective of, one, presenting a Japan that thrives in and on a multiplicity of voices, in contrast to its conformist image in the West; and, two, filling the critical need for English translations of primary sources aimed, in particular, at non-Japan specialists.The notion of women as “cultural critics” stretches back to the Heian era (797–1190 ce), and is notably exmplified by Sei Shonagon’s work The Pillow Book (992 ce), which, with its wit, barbed references, and no-nonsense comments on life around her, has become part of the Japanese literary canon. Her legacy reappeared after a long hiatus in the generation of women writers who swiftly took advantage of the “Taisho (1911–1926) Democracy.”The “Woman Question” debate in Japan today, which Japanese women view as a basic human rights issue, has been revisited by contemporary Japanese women writers who have also gradually developed a feminist credo that espouses the equality of men and women concomitant with the expansion of the emotional interaction and intellectual interchange between the sexes.